Legumes are one of the most sustainable sources of protein. They have an outstanding nutritional value and therefore are increasingly recommended as part of a heathy diet. While in wealthier countries, such as the UK, normally the population has sufficient protein intake. There are, however, some groups, namely the elderly, that are not consuming their recommended daily intake. This was reported in a recent review paper published in the journal Nutrients. 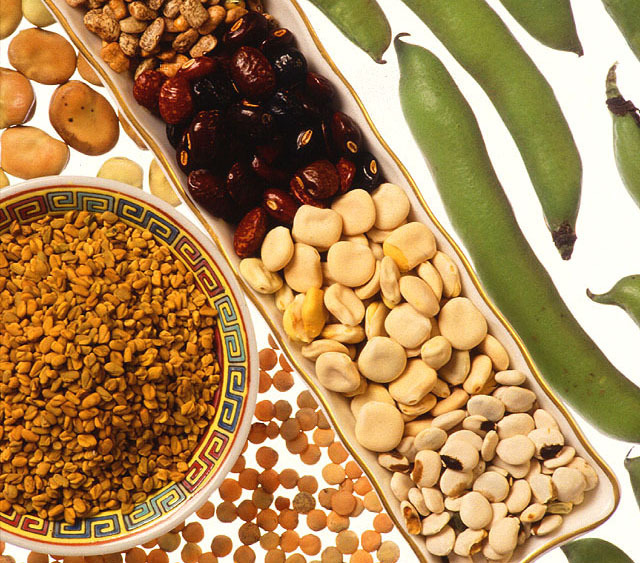 Legumes increase satiety, and therefore are being used in weight management programs. Also they are important sources of fibre and can be used to manage diabetes. Finally, legumes and pulses have a positive economic impact as they are a profitable crop for farmers, a relatively cheaper source of protein to the food industry and to consumers, as well as providing important ecosystem services. However, it is still not entirely clear how product categories that include pulses map onto the consumer segments identified. These findings and recommendations were recently incorporated into the PGRO report: A Blueprint for UK Pulses in a Post-Brexit World, which summarises the key challenges facing the legumes and pulses industry and outlines a clear strategy for its development. A key element for the implementation and success of such a strategy is to increase the level of information and awareness of the benefits of legumes and pulse consumption. Along with the need for fundamental research on the biology of pulses, there is a clear need for applied research to improve productivity of pulse production, understand which factors may improve their use in the food industry as well as improve our knowledge of consumer preferences for pulse based products. Another key area of research is on the economics of pulse production and their benefits to crop rotation. Finally, a clear message from industry is that there needs to be more market level information on the levels of production, quality and location of pulses. This entry was posted in Food and tagged beans, british pulses, sustainable diet by Brett. Bookmark the permalink.